Things that go bump at 3 a.m.
Connie Watson, ghost researcher and spirit photographer (http://constancewatson-ivil.tripod.com/), states that 3 a.m. has several meanings. “In paranormal work, a lot of psychic phenomena tends to peak at this hour. Many of my medic friends report that at 3:00 a.m. the volume of runs they make escalate at this hour. Also, a lot of people wait to pass at this hour. Oilfield demand has created shortages of construction equipment. We got the last light tower in south Texas from Butler Rentals. I don’t know about any of that. 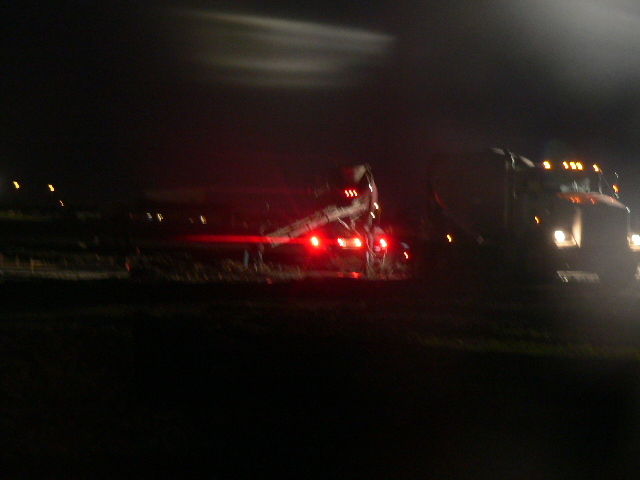 I know that the significance of 3 a.m. for concrete contractors is that it’s a great time to make a large concrete pour. Even though the south Texas heat is diminishing, it still hits 95 by 2 p.m. Heat exhaustion is pretty much guaranteed during a 100+ cubic yard pour at noon during the summer months. It may be turning fall on Friday, 9/23, but nobody’s told the weather about it. It’s still stinking hot. Max has the contract to construct a tiny gated community in Portland with one concrete entrance street of about 18,000 s.f. Max and his crew have done the utilities, drainage, and dirt work on the job. Pipelayers and excavator operators can shift trades only so far; they can be credible maintainer and roller operators. But pouring concrete is a craft of its own. We use a sub for concrete work. 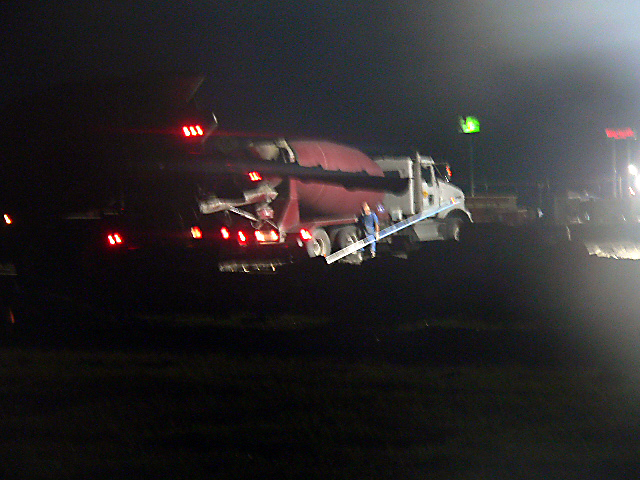 Live Oak Materials used 8 trucks to keep the concrete flowing. 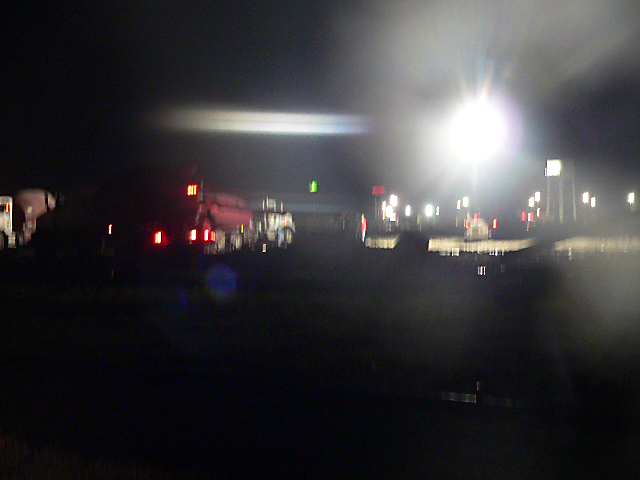 In the end, we coordinated with the concrete plant who agreed that they could supply that amount of concrete starting at 3:00 a.m. I checked the job last night. Forms and steel were in place and looked good. No chance of rain. Called testing lab to make sure they could be on site. I was on the job when the 2nd truck rolled onto the site. By 4 a.m., we had gotten 70 CY; by 6 a.m., 200 CY were dumped and spread. When I went to the office at 9:30, the last truck was pouring out. The ghosts of bad concrete pours must have stayed in last night. 258 CY successfully placed.